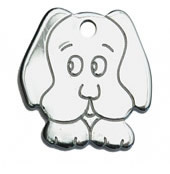 Our range of pet ID tags come in a variety of styles and are available in the following finishes: polished brass, gold plated, polished chrome or rhodium plated. 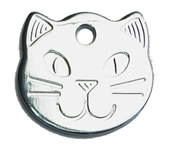 Prices include engraving, split ring and Standard Delivery in the UK. A quality gift for your special pet.